Peek'N Peak Resort to Open for Ski & Snowboard Season on Saturday, December 8! Peek’n Peak Resort has confirmed an opening date for the 2018/19 Winter Season of Saturday, December 8! 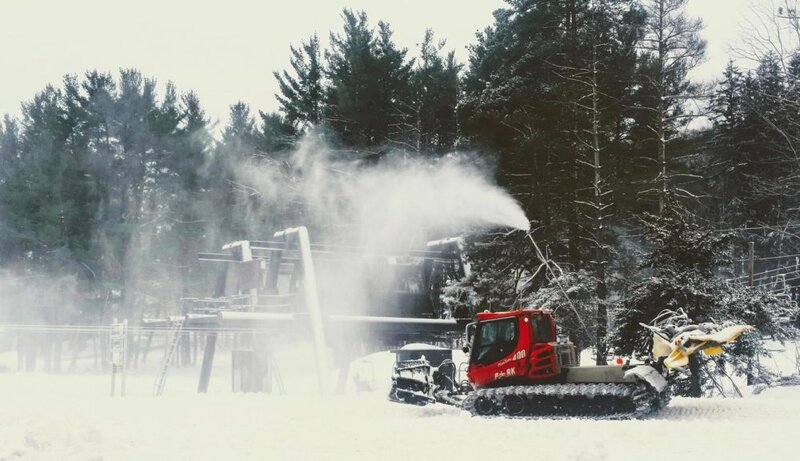 Peek’n Peak will have at least 5 trails and 3 lifts available on Opening Day for skiers and snowboarders to enjoy, with additional trails possible. Peek’n Peak’s family-friendly 7-Lane Snow Tubing Hill will also open on Saturday. Snowmaking operations are currently covering the slopes with a layer of man-made snow produced by more than 250 snow guns. Snowmaking efforts will continue for the remainder of this week. Guests may also enjoy the resort’s numerous amenities during Opening Weekend including: the Main Ski Lodge, Bistro 210, Serenity Spa, an indoor pool complex, fitness center and play zone, as well as overnight accommodations at The Peak Inn or a slope-side condo. For those who don’t yet ski or snowboard, Peek’n Peak invites guests to learn a new winter sport through their revolutionary Terrain Based Learning™ system. The award-winning program emphasizes fun and guides guests through five simple steps that build confidence and skill in a protected environment. Peek’n Peak has something for everyone, with special events & live entertainment every weekend! Visit pknpk.com for more information. Scott Enterprises is a family owned hospitality company based in Erie, PA with over 2,000 employees during peak seasons. Its portfolio includes hotels, The Ambassador Banquet and Conference Center, franchised restaurants and hotels, Splash Lagoon Indoor Water Park, Peek’n Peak Resort and the upcoming Harbor Place development along Erie’s Bayfront. Scott Enterprises entertains over 4 million visitors annually.